… but mostly, from my mistakes. In time, my company grew. I hired one employee. Then another. Slowly, I made the transition from working as a communications professional to running a professional communications business — with millions in billings. I learned how to build a successful team (and how not to). I learned the necessity of building business systems — financial, production, pricing, marketing. For a long time I spent all of my time on the first three and no time on the fourth. Eventually, I learned how to delegate. In some cases, delegation came easy; in a few instances, my staff needed a crowbar to pry work out of my hands. A company that often ran itself. A company that employees and clients wanted to stay with. It would be difficult to name a business problem that I haven’t wrestled with — from hiring and firing, to financing and phone systems, to strategic plans and sudden crises. And, of course, let’s not forget my favorite: cash flow. One of the best things we ever did at my company was to hire a small business coach-consultant. Someone with the skills, experience, and wisdom to give us (and especially me) an outside perspective. Someone to facilitate missing conversations. And someone to stand in my corner. Because it does get lonely at the top. Our organization grew to the point that I was able to sell my business to a key employee. The transition was seamless. 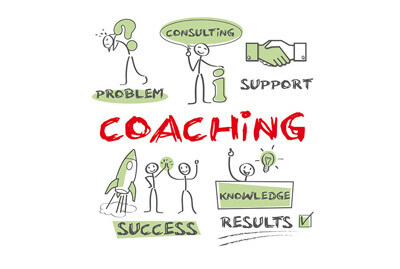 Today, I help other businesses as a coach-consultant. In addition to my business experience, I am also a certified professional coach. …create a ‘process dependent‘ business so all of your employees are doing what you need them to. …and brainstorm solutions for whatever is keeping you up at night. As a coach I also focus on your professional development. And bring you clarity to the tasks at hand, whatever they may be. If this service sounds like something your business could use, let’s talk. I’d like to help you with the challenges you face. To schedule a free exploratory call, please email me at bart@erbachcoaching.com.